Welcome to The Voice Finale! 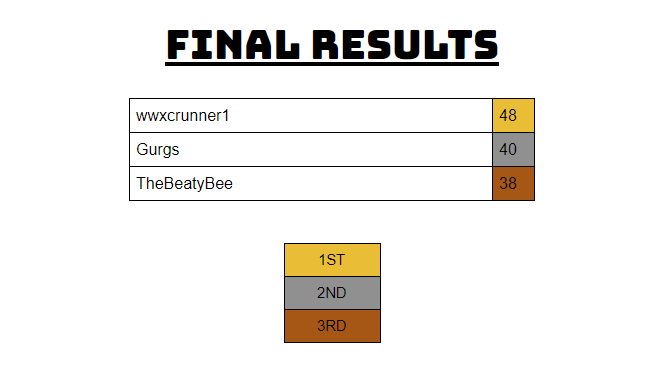 @TheBeatyBee , @wwxcrunner1 , and @Gurgs remain standing! They were all tasked to produce a playlist of eight songs which meet the themes of previous rounds. The public has voted over the last few days for a winner and that vote has been counted! Without further ado, let's see the results!! 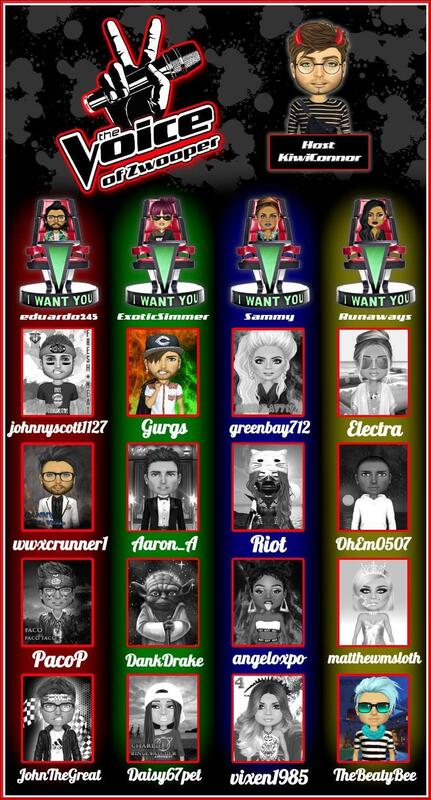 You were a force to be reckoned with throughout the season as you were always at the top of the leaderboard each week! I really didn't know how well you would do coming into this game as I haven't seen you play with a music format before, I was pleasantly surprised! 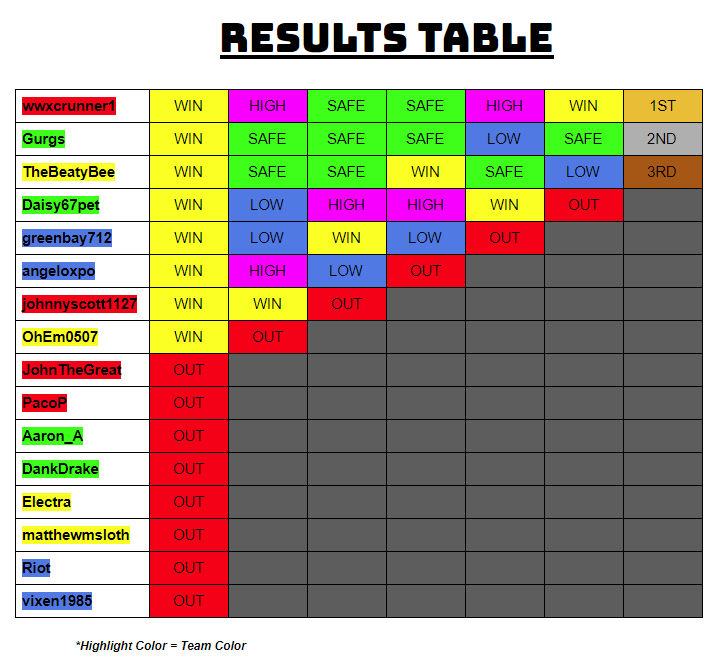 I loved seeing all the different and unique genres you submitted each week, congrats on your well-deserved win! Congrats on making it this far, unfortunate that you couldn't take out the win but you should still be proud of yourself! I loved seeing the bops you gave us week after week as you fought for your place in the finals. You definitely have my music taste and I loved your final playlist the most! The REAL GAG of the season! I did not expect you making it near the finals but here you are. I also commend you for making it this far with minimal help from your coach, well done! This means @eduardo245 wins the 1000 chip prize! it wouldn't be the same without you all! "I also commend you for making it this far with minimal help from your host, well done!" I want to give my VIP to Imperfect Texas 6!!! And I've only played one other music game and got second. Very happy to take home another group game win!! Thanks to cdog who picked my music like everyweek and other supporters! Also shout out to my coach and fallen red team members!